Home » Game Of Thrones Season8 » UPDATED! 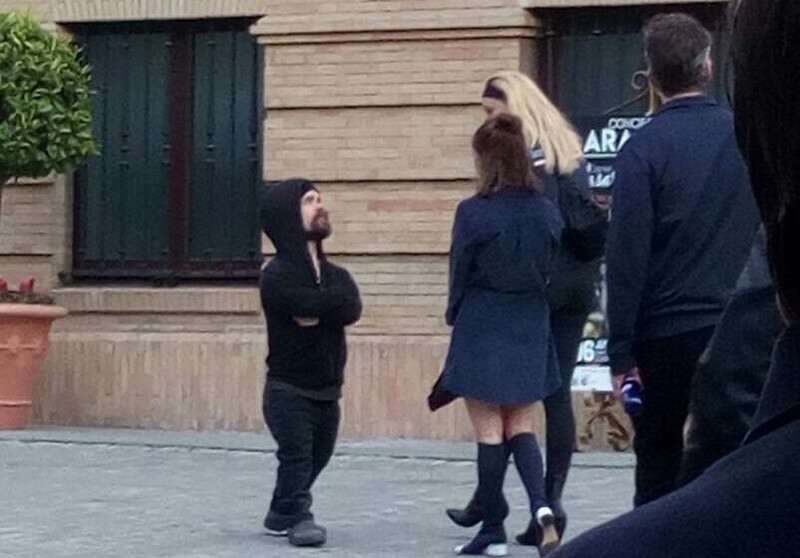 Season 8 SPOILERS: Even More Characters at the Dragonpit Confirmed! 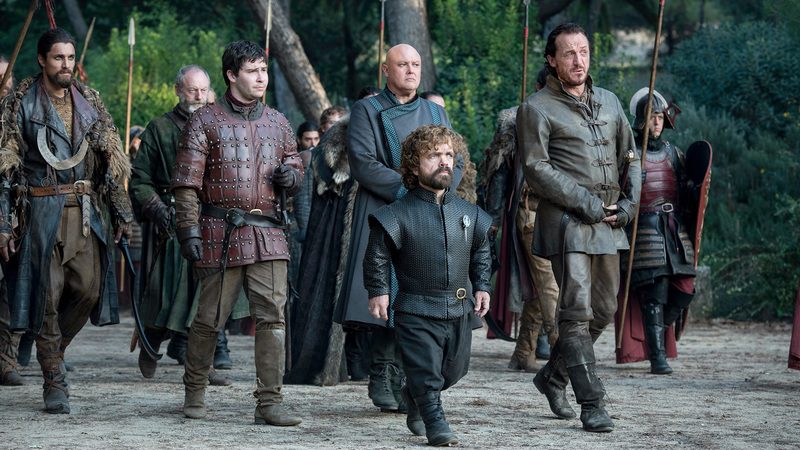 Season eight spoilers: at least one of these characters is returning to the Dragonpit! A few days ago we placed a main cast member in Seville and considered it big news. After all, the shoot in the nearby ruins of Itálica, which we know as the Dragonpit, had been remarkably quiet compared to last time, for the season seven finale, when so many cast members made themselves known in Seville. Therefore, our expectations this time were for a much more “private affair.” We were wrong. We were oh, so happily wrong! Please note body doubles are distinct from stunt doubles; they are not used for action scenes. There are also reports from yesterday of several cast members waiting at a London airport for a flight to Seville. Supposedly, the actors in question were Kit Harington , Sophie Turner , Isaac Hempstead Wright , Gwendoline Christie and John Bradley . Unfortunately, we can’t confirm these sightings, as they weren’t photographed, but if they are true we should expect the following characters—at the very least—to appear at the Dragonpit in season eight: Tyrion , Sansa , Jon , Arya , Bran , Brienne , and Sam . And so, it appears we went from not even being sure any cast members would be in Itálica to knowing Maisie Williams would be, to now being pretty sure a large part of the main cast will be present at the Dragonpit in season eight. This shoot wouldn’t include as many characters as last time (though, of course, other cast members may be sighted yet), but it would be a first for several of them: Arya and Sansa haven’t been in King’s Landing for years (Sansa in particular has been reluctant to ever return), and they never went to the Dragonpit in the first place; and this will be a first for Sam as well. This now looks more like a “big scene” akin to the one in “The Dragon and the Wolf.” Naturally, the question is whether it will take place during peace talks, as it did last time, or during battle. Whether there is fighting going on in or around the capital, there probably won’t be a battle inside the Dragonpit, partly because many of these characters aren’t really fighters; but, more importantly, because it’s unlikely a battle sequence would be allowed to be shot at a site as historic as the amphitheater of Itálica. With these cast members and the advantages and limitations provided by this location, what do you think will happen at the Dragonpit in the eighth and final season? 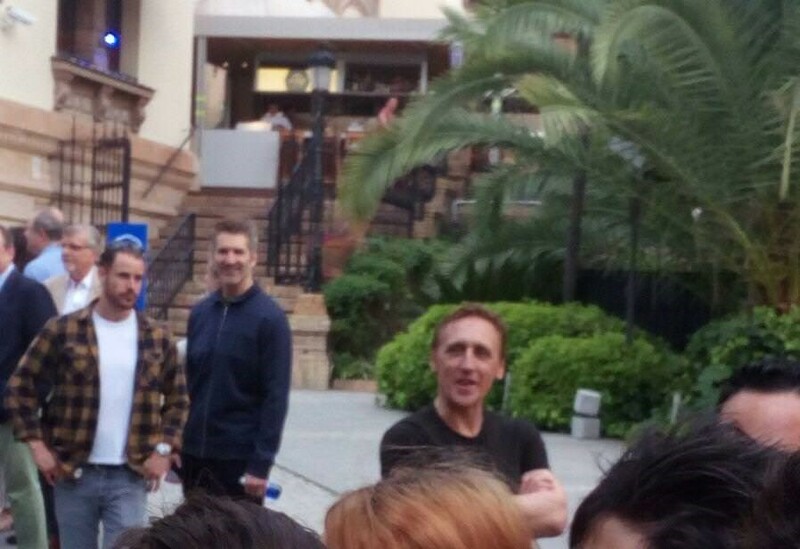 There are also reported sightings of Joe Dempsie , Gwendoline Christie , Conleth Hill , and Nikolaj Coster Waldau at the hotel. There are stranger sightings as well, by REDB04 , including Tom Wlaschiha and Faye Marsay , who played Jaqen H’ghar and the Waif respectively. Confused? You’re not the only one. We’ll try to clear things up below. Additionally, Watchers on the Wall reader Eonwe got ahold of the following photos from a friend in Seville, and shared them in the comments below (thank you, Eonwe! ), showing Peter Dinklage, Maisie Williams and Sophie Turner together, as well as showrunner David Benioff and, shockingly, Vladimir Furdik —the Night King. Say what? This appears to indicate that we’ll see the Night King in the Dragonpit. However, the fact that they aren’t making any effort to hide him—quite the opposite in fact—may point to this being a misdirection. Furdik and the reported sightings of Wlaschiha and Marsay tip us off that some of these cast members may not be involved in the shoot at all . We don’t usually entertain these conspiracy theories at Watchers on the Wall , because they never pan out. Despite claims of fake scenes and the like, they’ve never done something like this before (the closest they got was in season six, when they pretended Shae would appear), but in this case I do believe it may be quite likely that some cast members have been brought in (as a paid vacation, essentially) to hide who will really be involved. Why try to fool us with tertiary characters like the Waif? Because their performers would be much easier and cheaper to bring in for a laugh than, say, Emilia Clarke, who is kind of a star now and quite busy promoting her new film at the moment. Could we see the Faceless Men again, at the Dragonpit? And the Night King? And all these characters too? For sure. But the fact that they were publicly paraded before the fans in Seville should give even the most trusting amongst us some doubts. If we really want to know the truth, we should see which actors actually stay for the entire shoot.